If you want to drive in luxury, this BMW hire car is for you. This vehicle offers enough space for four riders (not including your chauffeur), and three medium pieces of luggage — allowing you and your passengers to bring all of the necessities. This vehicle features sports-car agility, making it fun and easy to ride in on any road. You’ll also enjoy multiple safety features to ensure that you get where you’re going worry-free. You and your passengers will enjoy stunning surround sound, making any trip an enjoyable one, and the adjustable headrests are adaptable to every passenger’s personal preference. 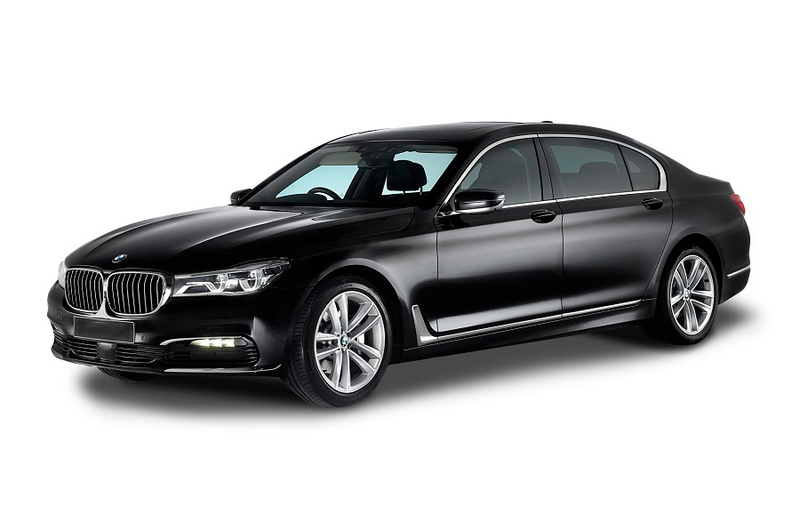 The exterior of this luxury vehicle is unmistakable, from the grill to the taillights — and if you’re looking for a sporty, sophisticated car hire option, the BMW 7 Series Hire Car is for you. You’ll feel confident and classy, and you’ll drive in unmatched comfort. Our Sydney chauffeur service ensures that you have a high-quality, well-maintained, spotless vehicle hire at your fingertips, so you never have to worry about the condition of your vehicle. We want you to enjoy your ride, and cleanliness and condition are at the top of our list. Let our BMW chauffeurs get you from A to B with our premium BMW hire car today.